If you're pining after one of Apple's revamped Mac Pro models, you'll be pleased to discover that the Cupertino-based company has revealed its release date. Apple has announced that the Mac Pro will be available in December, meaning that there's not too long to go until you can get your hands on its cylindrical goodness. Apple first gave us a glimpse of the new Mac Pro back in June 2013. The 9.9-inch desktop gets its internal grunt from an Intel Xeon E5 processor that's capable of supporting up to 12-core configurations. We've been curious as to what the Mac Pro cost, and now we know that it'll start at $2,999 (around £1,846, or AU$3,088), so you might have to start saving in a few hours' time to pick one when the holiday season arrives. 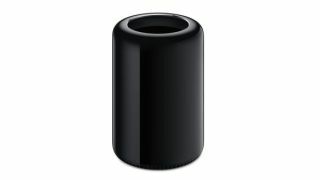 Want to know more about the new Mac Pro? Read our hands on review.